Fact or Fiction: Metal pieces seamlessly combine into one object? Does a video really show metal pieces seamlessly melding into one solid item? 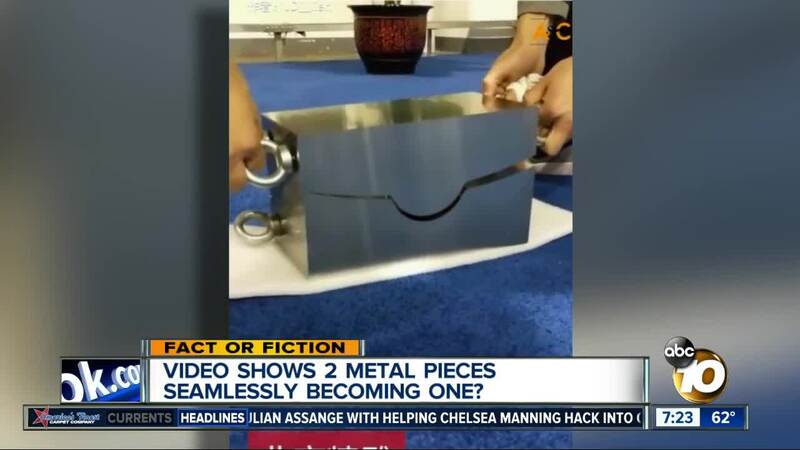 (KGTV) - Does a viral video really show metal pieces seamlessly melding into one solid item? The promotional video from a Chinese machining company shows how it can create parts that fit together so precisely the seam can't be seen or felt.